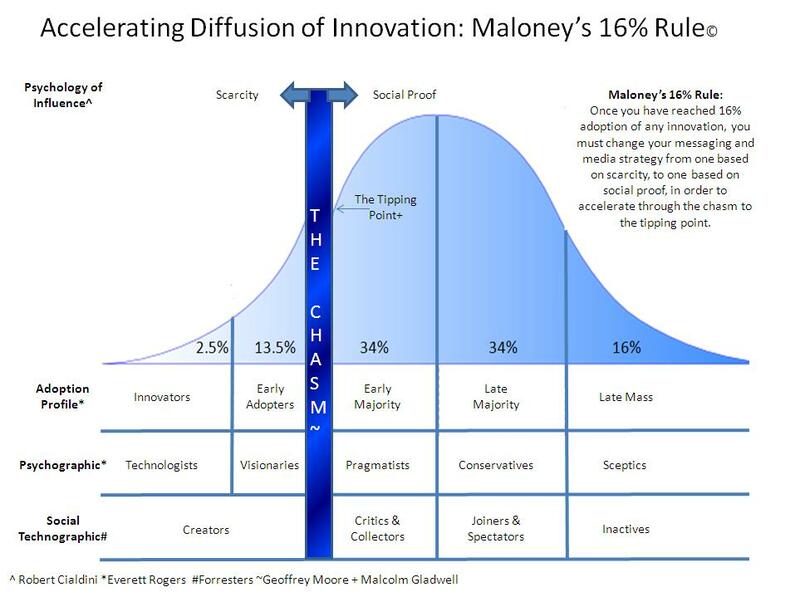 I am currently researching examples of my 16% diffusion of innovation rule in action for an upcoming article in Marketing Magazine. 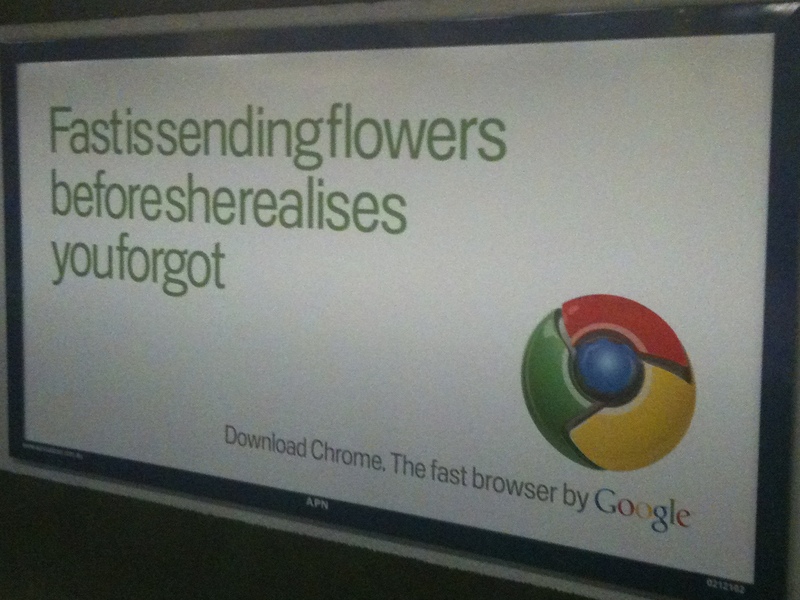 With this in mind, yesterday I noticed Google had started outdoor advertising in Sydney for its Chrome browser, which has now been available for over 18 months. Personally it has been my favorite browser for a while because it is so damn fast, and the creative reflects this product benefit. So why has it taken so long for Google to start advertising this exceptional product? Basically, it hasn’t needed to. Google is infamous for keeping its products in Beta stage for long periods of time, which allows Innovators and Early Adopters to experience the product before it is ready for the mass market. Using this approach, according to Web analytics firm Statcounter, Google Chrome has now reached 7% browser market share at the expense of Microsoft’s Internet Explorer. However as you can see from the graph, the growth is starting to slow and this is because Google is nearing “the chasm” or the point in the adoption curve between Early Adopters and the Early Mass, that many innovations fail to cross. Note that in my theory I state that this chasm is a 16% adoption. In the graph above Chrome is at 7%, but this is the total market and the reality is that you need broadband for Chrome to work properly and only half of the US population has that, so they are actually very close to 16% market share of the broadband market. By using above-the-line advertising, Google are wisely changing their media strategy from scarcity to social proof to cross the chasm and appeal to the mass market. Even still I think this is a great move for Google and I hope they continue to steal market share from the dated Internet Explorer.